Have you ever been walking through your house and smelled something funny? Like something that simply should not be there. Perhaps it’s a dead animal smell, or a musty, moldy smell. Have you ever considered checking into the crawl space beneath your home? What about the one above your home—the attic? Well, with Kelley Klean, you no longer have to worry about climbing into those small places and getting dirty and stuck in spider webs. As one of the many services the company offers, Kelley Klean now offers crawl space clean up. The professionals at Kelley Klean will take the job off your hand and make everything like new once more. the trained professionals willed whatever it takes to make sure these hard to reach places are cleaned perfectly. 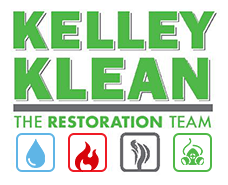 After making a call to Kelley Klean, a cleaning professional will come to your home and make an assessment. Based on what they find and discover, they will be able to give you an estimate on the services that you will need in order for them to complete the task. After the assessment has been made, a time and date will be scheduled. Then, you’re just a couple steps closer to a clutter-free existence. On the day of the initial clean up, depending on the size of the crawl space you are needing to be cleaned, they will start to clear the clutter away. This process may be assessing any damage done to the crawl space, structural or foundation. They will rid the space of any debris left behind by animals. This may include burrows, nests, and possibly animal remains. With their industrial cleaning equipment, they have the ability to clean in places that most companies would miss. They take extra time to notice the smallest of details. They want to make sure your home is exactly how you want it to be. Nobody should settle for second best when it comes to the place they feel the safest. Not only with the professionals at Kelley Klean clean up that crawl space, but they can also make sure that there is no water damage to your home via a leaking or broken down water pipe. Over time, water pipes can break down and become weak. When this happens, leaks can happen, resulting in extensive damage. There are specific things these professionals look for and this is one of them. As they are cleaning out the crawl space, they can also check the pipes that rest beneath your home. This is a great tool to have because sometimes, these pipes get forgotten. You can hire any kind of company to clean the crawl space beneath your house, but what kind of company will go above and beyond to make sure their client’s home is in the perfect condition? The answer is Kelley Klean. They are the ones you want for this job!